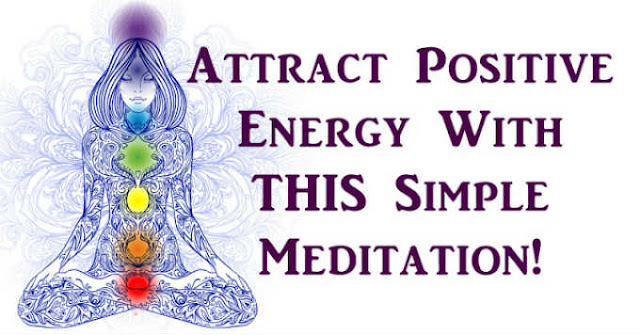 Attract Positive Energy With THIS Simple Meditation! Home » Spiritual » Attract Positive Energy With THIS Simple Meditation! Most of us instinctively know that negative thinking leads to negative outcomes, whether financial, social or physical. But why is that? Well, when broken down, everything within us, around us, is just energy. All energy carries a vibrational frequency so similar energies become attracted to each other. Although we are not quantum physicists, on a very basic level – when has a negative mind-set towards life brought us a positive result?! So if negative thinking manifests negative outcomes, can a positive approach to our thoughts attract positive outcomes to our life? Of course. While The Secret is hugely entertaining and engaging, I feel it does very little on the actually process. You have to dig out the process through the entire film and re-watch it over and over again to get the whole process. However, I break down the process into easy to understand steps anyone can follow. Finding length in your spine, close your eyes and focus on the inhalation and exhalation of breath through your nose. Observe the breath as you begin to let go of life and all ‘doing’ thinking. Simply be in the moment, sitting still, enjoying doing nothing and watching the breath maybe for the first time today. Start to slow your breath down. You may want to inhale for a count of 3-4 and exhale for 4-5 (exhaling longer helps calms the body and mind). You may want to watch your belly rise on the inhale and fall on the exhale as you encourage a deeper breath away from your usual shallow breath. This region is also known as your third eye. With your index finger, press firmly for a few seconds then release and drop your hand down. Envision the eye beginning to open. Or, you could imagine curtain on a stage which begin to draw apart or shutters starting to open. As they begin to open, you see yourself, staring down an empty path. You are still. This is your path towards your goals and dreams. Be as creative as possible. Make it as real as possible. See the colors, hear the noises and bring smells into the scene you are setting. Try and feel that this is happening to you RIGHT HERE, RIGHT NOW. Typical affirmations begin with ‘I am….’ (eg I am free from suffering. I am debt free. I am a world class business owner). Other affirmations which worked for me include ‘I have… I attract…’ The affirmation should be a present statement, not a future intention. Create the illusion you have already achieved your goal. The universe doesn’t respond to ‘I might be..’ ‘I will be…’ Say your affirmation 5-10 times and do it with feeling and emotion. Mean it, feel it, believe it! Bring an emotion into your body (ie: joy). An emotion is a change in the body in some form. What emotion do you feel as a result of your goal/dream being realized? Stay with it for however long feels good for you. A feeling is a change in your mental state, (ie: happiness) – how you do feel knowing you have reached your goal and your life has changed for the better!? Go with it, and enjoy the feeling. This feeling creates your vibration and is the gateway to attracting whatever it is into your life. List at least 5 things you are grateful for that is associated to your goal directly or indirectly. When you feel ready, open your eyes and take a moment to feel any changes in the body, in the mind, following your exercise in raising your vibrations. This practice may take anywhere from 5-15 minutes. The deeper you go into it, the more you practice it is, the greater the prospect of your desired outcomes owing to the greater the strength of the frequency you manifest. You may see quick results, it may take a little longer. But stick with it and look for the signs, the synchronicities, the ‘co-incidences’ that suddenly start to appear – it is a sign the universe is starting to work for you. So as the Buddha once said, ‘thoughts become things’, so if you can dream it, you can achieve it!